Dr. Stoltz graduated with a biology degree from University of Alaska Fairbanks in 1987. He earned his DMD degree from Oregon Health Sciences University in 1991. In 1992, Dr. Stoltz began practicing in Fairbanks. Dr. Stoltz has also served in the communities of Anderson and Clear as an interim dentist. His areas of specialties include oral implantology and CAD-CAM dentistry. 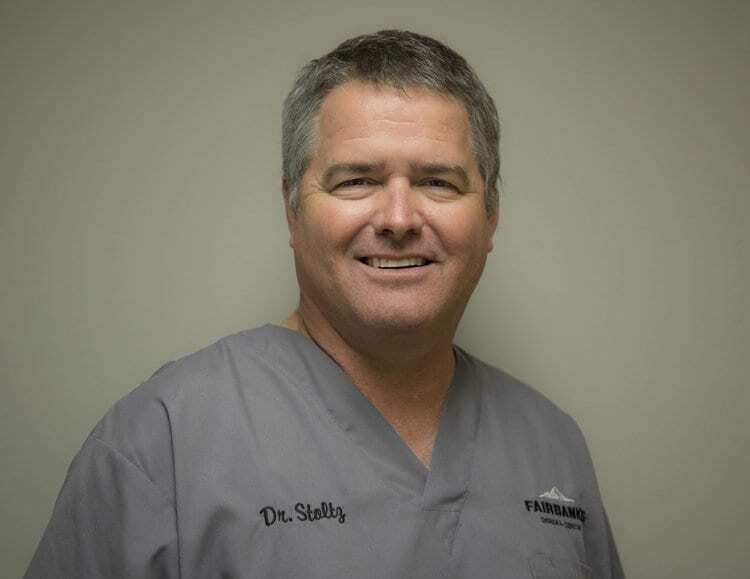 Dr. Stoltz has his fellowship status with the International Congress of Oral Implantology, is a member of the American Academy of Implant Dentistry, the Alaska Dental Society, and the American Dental Association. Outside interests include spending time with his family, boating in Alaska, fishing, hunting, skiing, biking, hiking, traveling and cooking. Dr. Parker graduated from Louisiana State University in Baton Rouge, LA where he was a Zoology/Biology Major. He earned his DDS degree at LSU School of Dentistry in 1986. 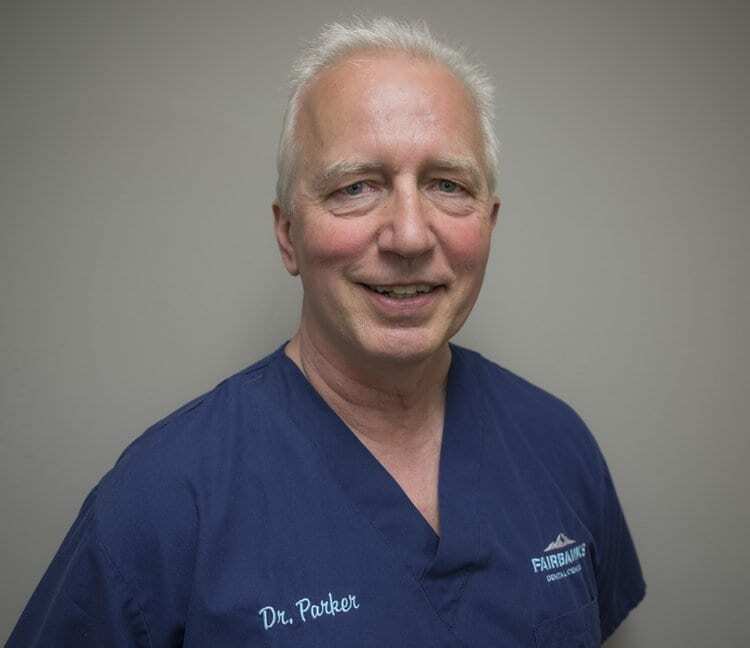 Dr. Parker served in the U.S. Air Force for 14 years where he provided general dentistry treatments, as well as IV sedations for oral and periodontal surgery. Dr. Parker joined the practice in 1999 with his area of specialty in aesthetic dentistry. Outside of practicing dentistry, Dr. Parker enjoys hunting, fishing, cycling and rafting. He also enjoys spending time with his wife, Cheryl and his kids, Erin, Jacob, Zachary, Jeremy and Devin. Welcome to our practice Dr. Kelly Bast! Dr. Bast was raised in Fairbanks. She is a Biology major and graduated from Ohio State Dental School in 2005. 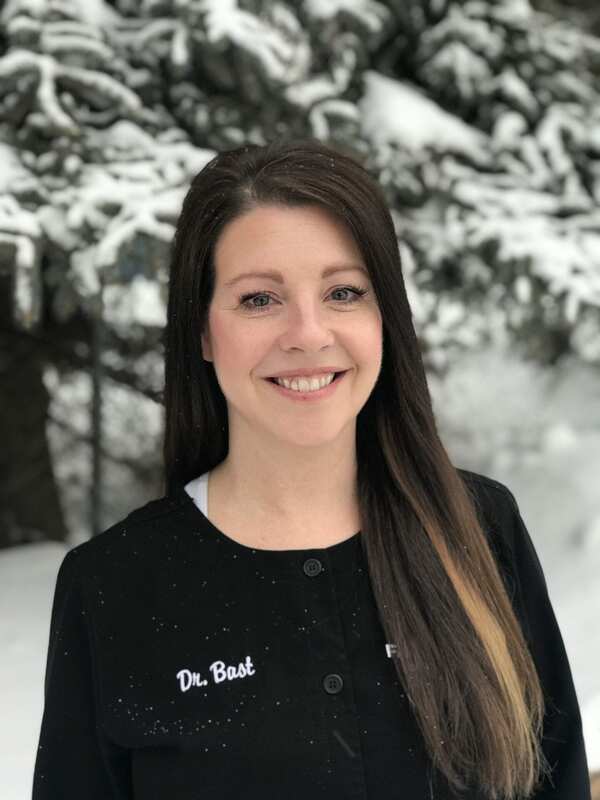 Dr. Bast has been practicing in the community for the last 13 years. Dr. Bast is married and has 3 children. Melinda earned her degree in Dental Hygiene from Midlands Technical College in Columbia, SC. She has worked at Fairbanks Dental Center since 1999. Outside of work, Melinda enjoys spending time with her husband, Roger, and their two children, Zachary and Emily. Some of her hobbies include gardening, fishing, cooking, hiking and watching hockey. Lacey was born and raised in Fairbanks. In 2015, she received her Dental Hygiene degree from University of Fairbanks. She joined our practice in November 2016 and has made such an impact on our patients. Outside of work, Lacey enjoys spending time with her son, Casey, family and friends. They love camping, biking, skiing and spending their free time outside. Jennifer has lived in Alaska most of her life. 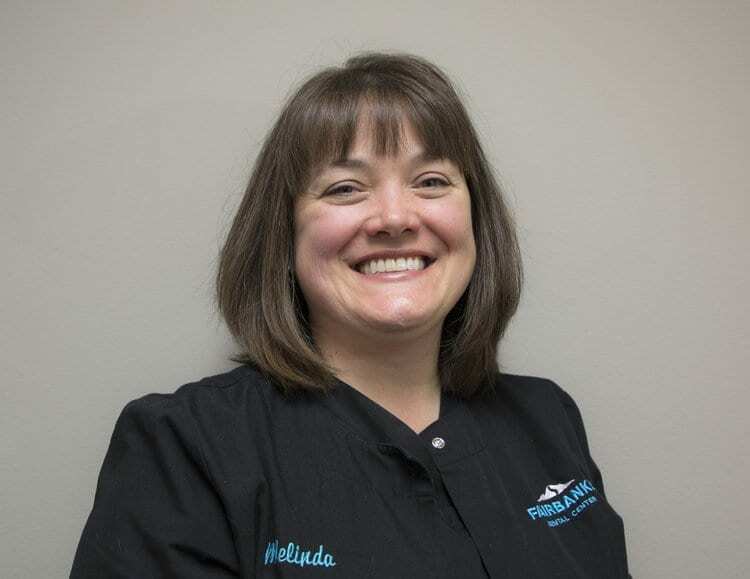 She has over 22 years of experience in the dental field and has been with Fairbanks Dental Center since 2009. For the past 12 years, Jennifer has taught an Administrative Dental Assisting class at the University of Alaska/CTC campus during the Fall semester. Her years of experience in the dental field is invaluable to our practice. She goes above and beyond for our patients, and helps manage all insurance and billing inquiries. She has two teenage sons that take up the majority of her free time. Other hobbies include golfing, camping and traveling. Shawna earned her Associates Degree in Dental Assisting from American Institute of Health Technology in Boise, Idaho in 2003. She moved to Fairbanks in 2009 and has been with Fairbanks Dental Center ever since. She has her DANB Certification, is a Certified Implant Auxillary, and has Sirona 3-D Advanced Training. Shawna enjoys spending her free time with friends and outside, camping, and four wheeling with her husband Marty and daughter Aria. Tori graduated from the CTC Dental Assisting program with a coronal polishing certificate in 2014. 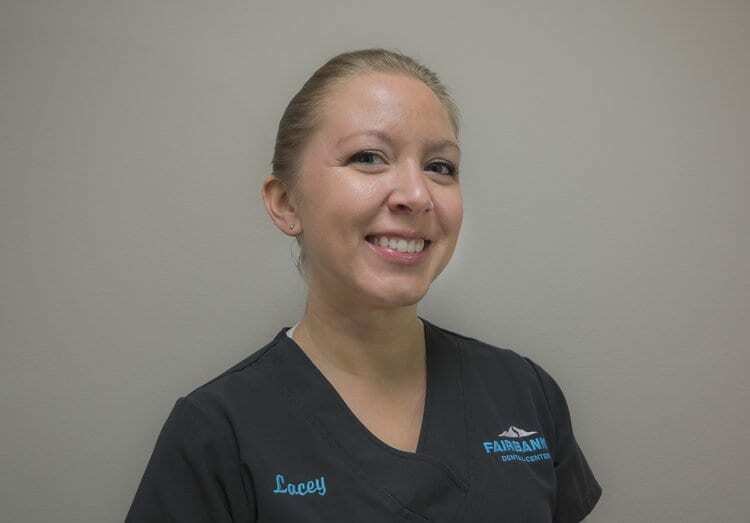 She has been an assistant with Fairbanks Dental Center since June 2014 where she specializes in our CEREC machine, as well as implant design. Tori is originally from California but has lived in Alaska for the last 17 years. She enjoys downhill skiing, rollerblading and anything chocolate. She absolutely loves dogs and enjoys them when they come for a visit to our office. Leah graduated from the CTC Dental Assisting program in 2014. She worked at Tanana Chiefs Conference for two years, where she specialized in orthodontics. In 2016, she moved to Anchorage and worked at a pediatric oral surgeon's practice. Leah relocated back to her home town of Fairbanks and joined our practice in May 2017. In her free time, Leah enjoys the outdoors including kayaking and hiking. She also loves spending time with her family and friends. Taylon graduated from UAF with a dental assisting degree in 2014. She spent 4 years working in public health specializing in oral surgery and traveling to villages for dental trips. She took a year off to spend time at home with her son and joined us in May 2018. Taylon grew up in Kotzebue, AK and enjoys hunting, fishing, and exploring the outdoors with her 2 year old son, Carver. Moki has been a part of our team for several years. He is a 10-year old golden retriever that will be sure to put a smile on your face. 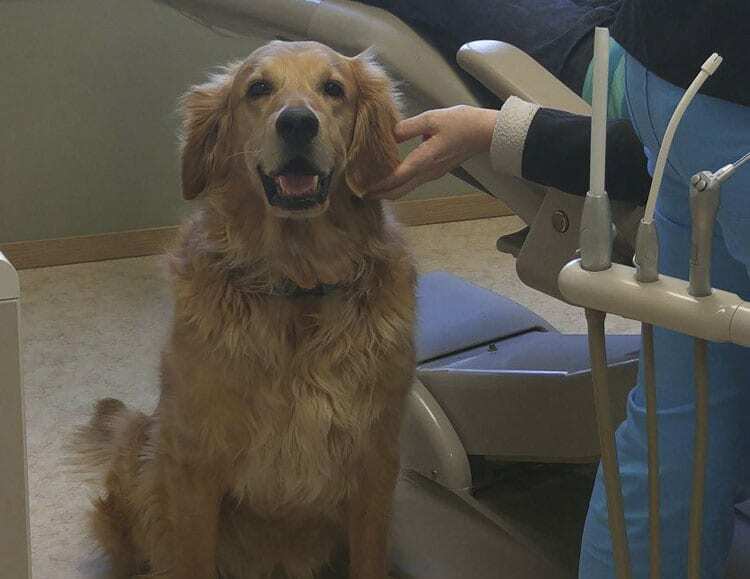 He knows that the dentist isn't everyone's favorite place to be and is willing to sit with you as you receive your treatment. He enjoys running outside, greeting our patients, and conversing with other dogs.